If the previous movie reviews blogpost of mine had movies with a mouthful of a name..this one have names that are pretty short!haha.I watch a lot of movies every month but unless I had to attend a movie premiere of it..I would more or less forget to blog about them.But I noticed lately that my blog has been too beauty-centric so I wanted to balanced it out a bit. I love a good horror movie though I don't dare and watch it alone.I watched this recently with my fiance and my little brother.I have to say that I love the concept of the story..a lot. 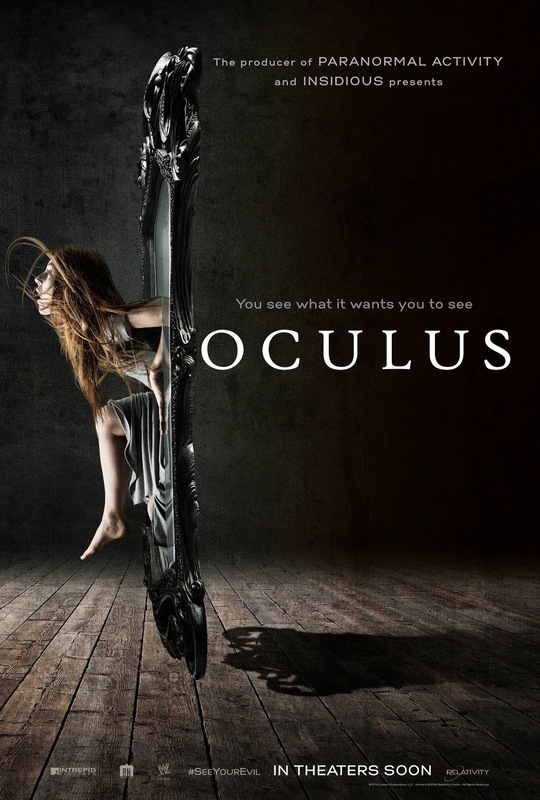 According to Wiki..the meaning of the world Oculus is this-- eye, denotes a circular opening in the centre of a dome or in a wall.In this movie..it's about..an antique mirror.The movie is actually based on a short film by Mike Flanagan(the director of Oculus) titled Oculus: Chapter 3 - The Man with the Plan". At the start of the movie..Tim seems to be recovering from something that happened in his past life..in a psychiatric hospital.Kaylie works at an auction house..and managed to track down an antique mirror that once belong in her family's house. I love this movie and I think the storyline is very well thought out.I hope that it'll be shown in the cinemas here..but I doubt that as well. I love this movie!It was full of food and fun..and the full use of social media! Jon Favreau is of course well know as the guy who directed the Iron Man movies.I've read about an interview with Jon about why he wanted to make this movie.He wanted to make a movie about cooking..he even hired Roy Choi as a co-producer which made me wanted to watch the movie even more.I first know about Roy Choi from Anthony Bourdain's Parts Unknown series season 1..when Anthony went to Los Angeles(Koreatown).Roy Choi is the founders of the food truck movement in USA! 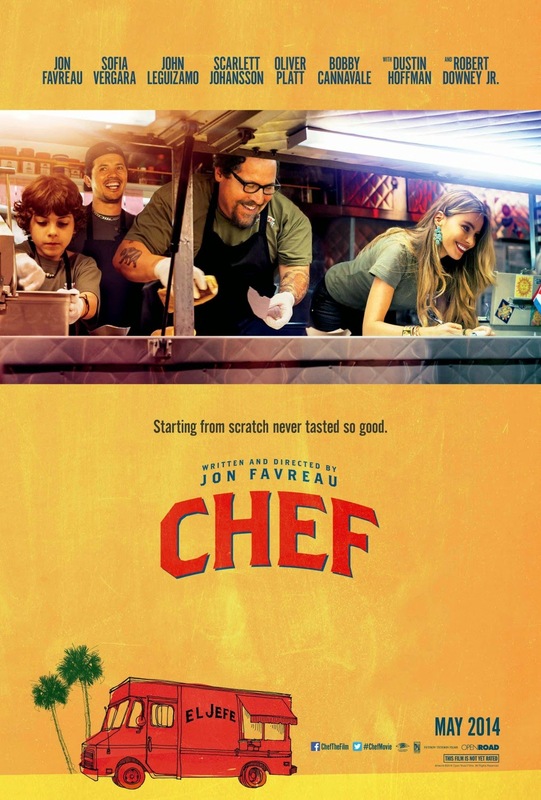 Jon Favreau actually trained at a French culinary school and several of Roy's restaurants.So all the the chopping that he did in the movie and the cooking was authentic! After the meal Ramsey gave quite a bad review of the restaurant and it went viral on twitter.Carl's son,Percy who's very tech savvy taught him how to open a twitter account and he accidentally tweeted a mean tweet to Ramsey which resulted in a "rematch" between them.But because of this he got into a fight with his boss Riva and he walked out. When Carl was at home,concocting new dishes..he saw the tweets of Ramsey,berating the dishes that he's eating at Gauloise..which angered Carl and he went there and went all crazy on him.Of course somebody recorded the video and it went viral..again. Carl then went to Miami because his ex-wife Inez needs him to take care of their son while they're there..and also so he could meet Marvin about having his own food truck..something which he didn't want to do in the past.Marvin is played by...Robert Downey Jr!Of course he'd be in this movie.His character was hilarious! Before I basically blog about the whole movie I just want to say that..this movie is a great watch for anybody but especially for those who loves to cook/eat!Some of the food parts were so beautiful..and I love how the movie incorporates social media in it.It's definitely a feel good movie.Very different from Oculus of course! Spring Splurge or Save Edit….